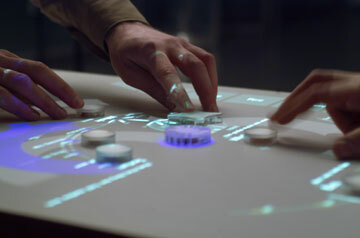 There's been an explosion of so-called "tangible interfaces"
play around with and move to produce sound. interactive tech blog near near future, you can't tell your audiopad from your reacTable from your audiocube from your audiocubes. (Yes, those last two are different.) Even Yamaha and Fisher-Price have gotten in on the action. complete with links to creators, project sites, and publications. Still not satisfied? 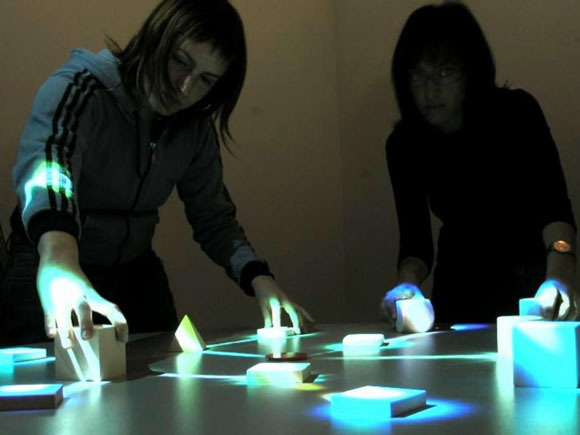 Head to Vancouver for an international conference dedicated to new musical interfaces, take pictures, and let us know what you see!